This looks very pretty, Anna. Hi Anna, do you chain piece the segments? I haven't ventured from the scrap square quilts because I find I waste less thread when I chain piece after cutting out all the squares. Can you chain piece a log cabin? 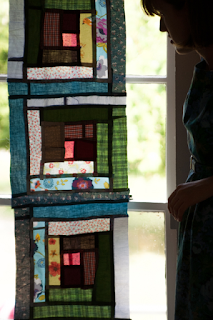 You have a great eye for colour Anna, I know you've cultivated it and it is demonstrated in your quilts. Lillian, I do chain-piece. First the central pairs, then the central pairs against the short strip, etc. Im sure there are tutorials out there--log cabin quilts actually go together very easily. 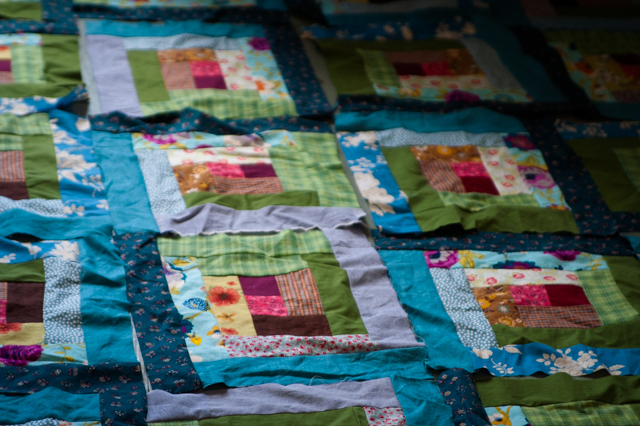 All of your quilts are so beautiful!! 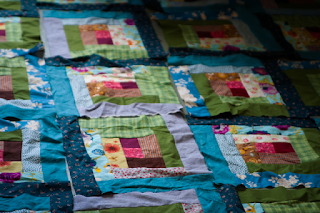 In chain piecing, since the seams aren't tied off, do the quilt seams not come undone? Especially with use and washing? Thank you!